These are serious issues. Here are some sobering statistics about food insecurity among these — some say — surprisingly vulnerable populations. A 2016 study that surveyed thousands of college students around the nation found that 48% faced food insecurity in the previous 30 days, including 22% at the lowest level that qualifies them as “hungry.” Process that for a moment. At some point in the month before the survey, nearly half of all college students either didn’t know where their next meal was coming from or skipped meals because they couldn’t afford to eat. Food insecurity rates among adults age 60 and older are rising. According to data from the National Council on Aging, the percentage of food insecure senior households rose from 5.5% in 2001 to 7.8% in 2016. Even more troubling, a 2014 AARP report noted that adults aged 40 to 59 have even higher rates of food insecurity at all levels than those 60 and older. And one more nugget: nearly 20% of seniors who are living with a grandchild — often raising those grandchildren — are food insecure. The current administration has proposed new rules which could affect as many as 1 million individuals who are unable to find work or who are underemployed. Currently, ABAWDs (able-bodied adults without dependents — and isn’t that acronym nearly a crime in itself?) can only receive SNAP for a total of three months in any three-year period unless they are working or in an education program at least 20 hours per week. This rule can be waived by states for regions that have high rates of unemployment. The new rules make it harder for states to receive waivers. In addition, they institute strict new reporting standards and penalties for failing to comply. These rules will hit people who work part-time jobs with variable schedules especially hard. Just a few weeks with short schedules can bump them off SNAP and make them ineligible for assistance for three years. While the solutions to all of these problems lie in tackling their root causes, there is a program that can help alleviate food insecurity in every single one of them with just a few changes, or with more publicity. The Supplemental Nutritional Assistance Program — better known as SNAP — is designed to help people put food on their tables when they’re struggling with low incomes. SNAP is one of the most effective anti-hunger and anti-poverty programs in existence. 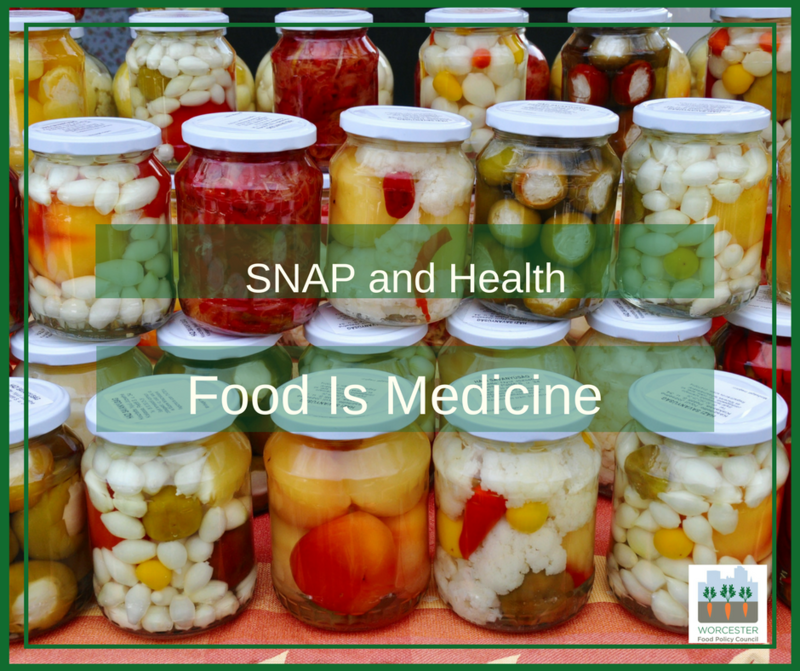 Not only does SNAP allow people to put food on their tables, it actually helps stimulate the local economy. According to research, every dollar of SNAP spent generates $1.22 of economic activity in the geographic area. Those numbers go even higher when people spend their SNAP dollars with local food producers and retailers rather than national chains — but that’s a story for another blog post. By all accounts, SNAP is a success — but people in these three vulnerable populations often face challenges in accessing SNAP benefits. There are special rules about SNAP eligibility for college students, and many people believe that college students aren’t eligible to receive SNAP. As you can see from the slides in this presentation, figuring out eligibility can be complex and tricky. One solution is to simplify the rules surrounding SNAP eligibility. Another is for colleges to do outreach to inform students that they may be eligible to receive food assistance and to help students apply for SNAP through a campus office. One of the most difficult findings about seniors and food insecurity is that many seniors who qualify for SNAP do not apply for benefits. There are a range of reasons for this, but one of the most heart-breaking is that they believe “other people need it more than I do.” Another big reason is that they think they don’t qualify. The SNAP Gap is the difference between the number of people who qualify for food assistance through SNAP and the number who actually receive it. Here in Massachusetts, the SNAP Gap is nearly 50%. According to the latest figures, as many as 741,000 people who probably qualify for SNAP do not receive benefits. One solution being proposed is a Common Application Portal, which would allow people to apply for MassHealth and SNAP with the same application. And here, I’m going to slip off my professional cap and interject a short, personal story. Several years ago, my 75-year-old mother — living on retirement income that took a huge hit in the recession — called me after having her taxes prepared. She was in shock. “Can you believe it?” she asked me. “The accountant took me aside after doing my taxes and asked me if I’d thought of applying for food stamps. She said our income qualifies us to get food stamps.” Ultimately, she decided not to apply because “we manage to get by.” But one thing I can’t get out of my head…what if it were common practice for tax preparers to do that one simple thing — inform their clients when they may be eligible for SNAP or other assistance? What if the big online tax preparers — the TaxAct, TurboTax and H&R Block — simply incorporated a check for SNAP eligibility into their software and included a link to an online application? Imagine what that would do to close the SNAP Gap! A little over a month ago, we celebrated together the passage of the 2018 Farm Bill that rejected harsh time limits and cuts to food assistance because these cuts couldn’t pass. 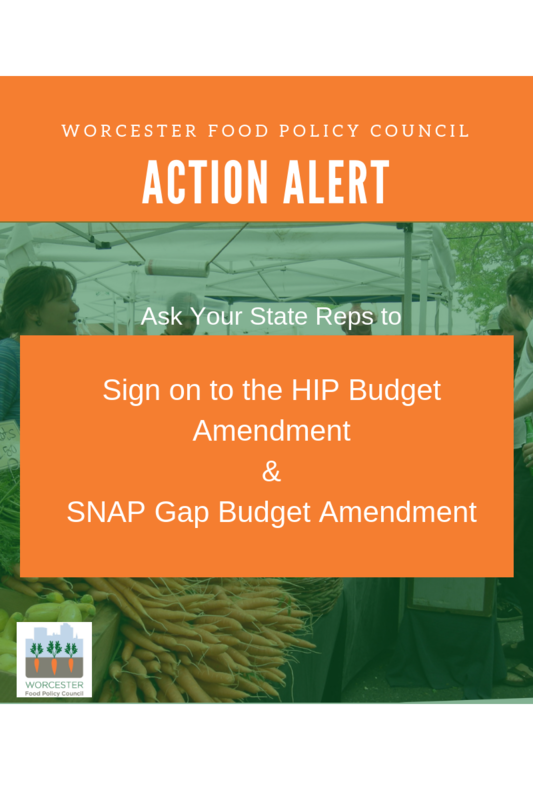 Today, the Trump administration is trying to enact those exact same time limits on the Supplemental Nutrition Assistance Program (SNAP)! The USDA just unveiled a new rule making it harder for underemployed and unemployed workers to access food assistance. The rule also requires further documentation creating an unnecessary burden on workers who struggle with unpredictable hours or multiple jobs. In some cases they could be denied food assistance for up to three years. We only have a short time to push back against these burdensome rules and we need your help to submit comments by April 1. Tell the Trump administration that being hungry won’t help anyone find a job! You can submit your comment here to let the Trump administration know what you think, and share with your family and friends so they can add their voices too. Taking action at this urgent moment will help us make sure that those who need help with food assistance most will continue to get it. Thank you! SNAP is a vital, successful anti-hunger and anti-poverty program. Any changes to it should make it stronger rather than weaken it as a safety net. Please like and follow us on Twitter (@WooFoodPolicy) and Facebook to stay up to date on new developments and opportunities to help keep SNAP strong.